I went to go see Milo Greene last night, but the band I thought I knew so well was nowhere to be found. Back in the spring of 2011, at the height of the indie-folk revival that launched the careers of bands like Edward Sharpe and Fleet Foxes, Milo Greene entered the ring. I was so excited by The Hello Sessions, their first two-tracks, that I drove 100 miles to see one of their first shows at The Troubadour in Los Angeles. The debut single, "1957," was and is one my favorite songs, a perfect folk romp that continues to grow until its nearly anthemic climax. I saw them live whenever I could over the following years, and consider their debut record one of 2012's best. Their shows always stood out to me for a number of reasons: The group was friendly and appreciative, there was no clear frontman, and there was also no weak link. All the band members could sing, play multiple instruments, and could front a group in their own right. 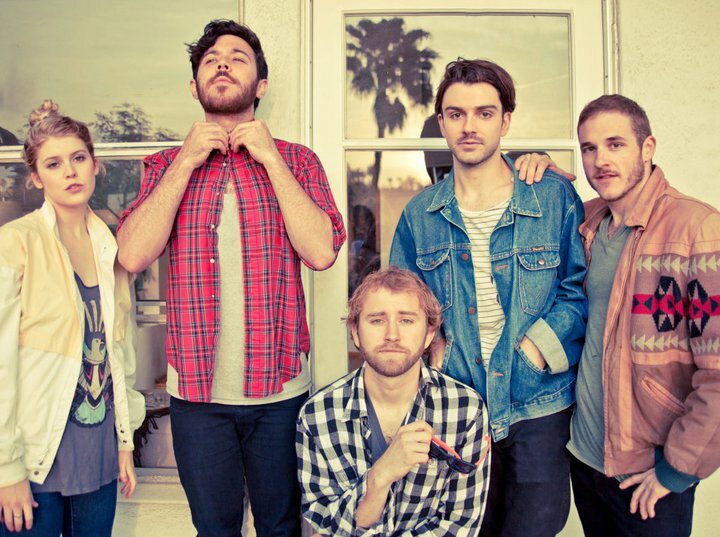 Fast-forward to 2014 and the same crew has announced album #2 and released a new single, "White Lies." Well, this is different. On the new track, and at their show last night at NYC's Terminal 5, Milo Greene has transformed into a completely different band. Gone are the oversize flannels and ponchos, replaced by leather jackets and sleek pantsuits. No more instrument trading, no more smiles, just synth-laden, retro-ish indie pop. Much of their musical warmth is gone and even their press photos have lost color! Is it a coincidence that their sound has done a 180 to match the hip sound of 2014? I hope so. It's not that I don't enjoy their new music. "White Lies" is catchy enough, and the rest of their new tracks are nice albeit generic. I don't hate the new Milo Greene; I just miss the old one. Despite their band name, Joseph is a group made of three sisters from Portland, Oregon. 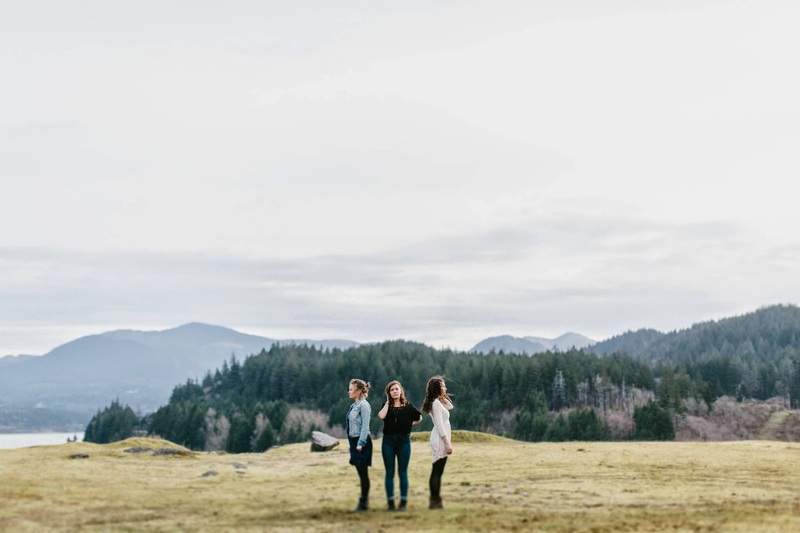 Gentle harmonies, soothing arrangements, and crisp, concise songwriting help this trio stand out in the folk world. Bringing to mind their British equivalent, The Staves, their voices fit together like only siblings' could. The music is almost always relaxing, perfect for a quiet night in the Pacific Northwest, preferably in a wood cabin. The first track on their record, "Cloudline," is a builder, however, and slowly grows into a fiery sing-along jam. Going on a road trip? Experiencing nature? Or just hanging out? This is your new perfect soundtrack. Their album, Native Dreamer Kin, can be streamed below or downloaded for a suggested donation over at Noisetrade! This music is very timid, simple, and bass-less. Unlike most low-end-obsessed artists these days, Atlanta singer-songwriter Sye Elaine Spence keeps things old fashioned with her debut Bloom EP. The four-track offering is a great introduction to her beautiful brand of folk music. On the title track, her powerful voice weaves over a twangy banjo, and "Is This Love" proves that she's more than capable of producing a great cover as well. Her unique voice and the lovely slowness of the songs make this an EP that is definitely worth paying attention to. Luckily for all of us, the EP (minus the cover) is free to download from her Soundcloud page! Looks can be deceiving. Take a listen to any song from Birmingham, AL crew St. Paul & The Broken Bones, and you would have no idea that it came from these guys. While the group may appear like a young posse of jazz nerds, the instant they start playing, they evoke a time much before their own. Lead singer Paul Janeway's voice is as close to Otis Redding as I've heard, and the band backing him up is as tight as can be. Their debut record, Half The City, is chock full of swingin', smooth soul music that will have you dancing one second, and crooning along the next. This is one of the most fun albums I've heard in a while and it's going to be on repeat for a while. Enjoy! Brooklyn trio Wet picked a name that's not too Google-able, but luckily their music is noteworthy enough to warrant some web searching. After making some ripples with their debut single, "Don't Wanna Be Your Girl" they released their Wet - EP towards the end of last year. Since then, their minimalist, synth-laden, melancholy pop songs have earned them an opening slot on tour for CHVRCHES, and some highly-coveted SXSW appearances. While NYC is constantly overcrowded by exciting buzzbands, Wet are making a strong case for themselves and seem to be near the head of the pack. Their music video for "You're The Best" is quite New York. Featuring dark imagery and late night shots of indie parties, it'll help you get the vibe of the big city's hipster underbelly without having to trek all the way there. Canada isn't always the go-to place to find killer, intelligent pop music, but in this case, there's no better place. Allie X, a native of Toronto, has just released one of the most exciting, sugary-pop tunes that I've heard in quite some time. Her latest single, "Prime," utilizes falsetto vocals, hard-hitting synths, and a perfect sing-along melody to firmly lodge itself in your brain. Following up her other awesome track, "Catch," her new song ups the ante, feels poppier, and could easily show up on smart indie radio stations soon. While the powerful vocals bring Katy Perry to mind, the lyrics are are smarter than that, and the synths are more interesting, placing her comfortably between the Swedish Tove Lo, and the Scottish CHVRCHES. The refrain, "Forget what I want, give me what I need, and it should be fine," is something you will hear being belted from cars and showers starting now. I know, I've written about Ásgeir before. But last time, I had simply heard a song or two, and I thought, "what pretty, relaxing, Icelandic songs." Now, after putting his debut album on repeat for the last few days, I have more to say. One listen of the record (the American version called In The Silence) had me thinking how high to place it on my 'Best of 2013' list. His voice is as pure as they come, and his melodic warbles have been weaving in and out of my head for days. The best surprise from the album is that he doesn't stay safe in the acoustic singer/songwriter cave that he so easily fit into. There are synth soundscapes, frantic computer drums, and on the fantastic "Torrent," beautiful masses of noise that bring to mind Bon Iver's "Perth". All in all, this record has me floored. And did I mention that he's 21? If you trust me, grab the album here. In his native Iceland, he is a rock star. According to some estimations, one in ten Icelanders own his debut record. One in ten!! Iceland is a tiny country, but still, that market penetration is off the charts! I'm hoping that he gains a bit of a following in the States, at least enough to come tour here. Otherwise, I'm going to need to book a flight pretty soon.